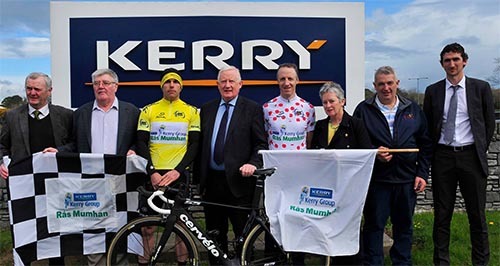 Stage 2 of the 2017 Kerry Group Race Mumhan on Easter Saturday will see the peloton and cavalcade move to North Kerry and West Limerick for a 126km challenge that will certainly test the riders with its undulating roads and 9 category 2 and 3 climbs. The Stage begins in Listowel town centre for a neutralised roll-out until the start as the riders head for Ballylongford, Tarbert and across the border into West Limerick. The first passage through Glen is a spot where there could be breakaway with the climb between the town and Athea likely to fracture the field. The riders then head for Carrigkerry where St Patrick is said to have blessed Kerry from and any rider struggling at this stage might be saying a prayer to our patron saint! Other areas of interest on this stage will be the village of Ardagh, where the famous chalice was found and Shanagolden, made famous in song by Sean McCarthy. But while these will be of interest to the supporters on the route the riders will have more practical things on their mind. Following 100km of racing the stage takes the riders on a 25km loop that brings them back into Athea for the sprint for the line. With the stage virtually enclosed in a four cornered area of Glin, Athea, Ardagh and Foynes this gives fans a rare opportunity to catch the race on a number of occasions during the stage so get out your Ordinance Survey map and get planning! Those who chose to stay in Athea for all 3 passes will have the opportunity to see how the riders take the corner at the bridge. Seeing the effort on their faces as they attack the hill will also be of interest to all. The crossroads in Ardagh is a very technical area for the riders but they should be travelling slowly enough for some good photo opportunities. The Gene Moriarty Cup: The winner of Stage 2 of the Kerry Group Ras Mumhan will be presented with the Gene Moriarty Cup. This was first raced for in 1983, when it was won by Philip Cassidy, and was raced for yearly until 2007. The Cup is named in memory of Gene a rider in the 50’s and 60’s, father of Tadgh Moriarty and grandfather of Eugene who won the Cup in 1996 and will be in the Ras again this year and will certainly be targeting Stage 2. As well as the overall Cup there are lots of other prizes for the riders to fight for. 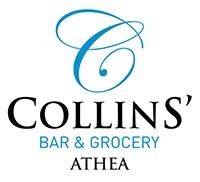 The prize for the 1ST Kerry rider home is sponsored by Colm Hassett Gym and Fitness with the 1st Limerick rider getting the prize sponsored by TJ Reidy Cleaning Services, Athea. There are primes for the first rider into Glin each time, sponsored by Adam’s of Glin, and on each passage through Athea sponsored by Raymond Enright Kitchens Athea and Paul Collins Athea.